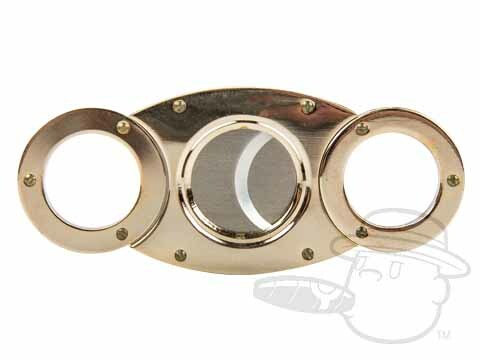 Double Finger, Double Blade, Stainless Steel Cigar Cutter with Gold finish. ... however, I have had this cutter for 3 months now and two of the screws that hold the one of the thumb holes fell out. It still works but doesn't seem quite so fancy looking anymore. Mardi Gras Double Blade Cigar Cutter - Gold is rated 5 out of 5 based on 2 customer ratings.